URU silk rayon top over Oska pants. Cynthia Ashby mesh pullover with Motion supima cotton tee and Black Label padded cotton skirt. Skif sweater with panel, over Motion pocketed pant in Khaki. Skif sweater with panel, over Motion pocketed pant in Khaki. Back view. Black Label long sweater and Motion corduroy pants. Motion speckled fleece jumper and knit top. Motion padded jumper and supination cotton tee. Motion padded jumper. 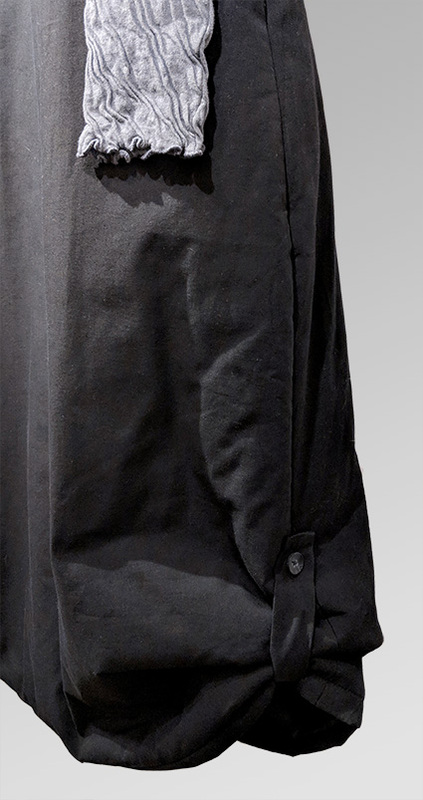 Hem detail. Skif sweater over Jane Mohr dress and Motion mesh turtleneck. Catherine Andre sweater and pants. URU washable silk jacket over Motion mesh turtleneck and pleated pants. Motion crimped top and skirt. 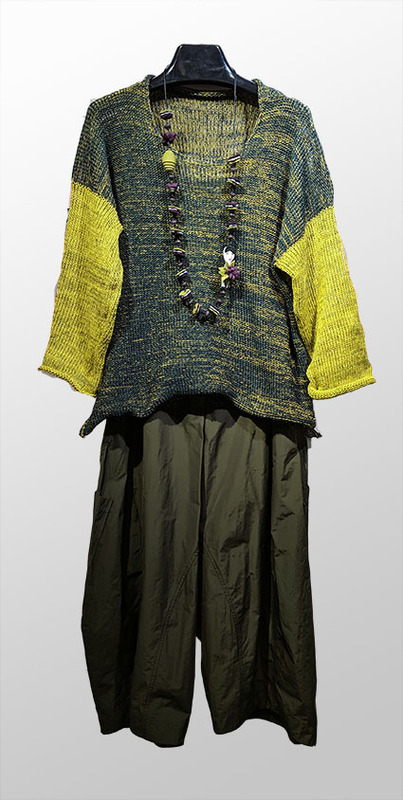 Skif Sweater over Motion layering tunic and black Hudson pant. URU silk rayon velvet top over Motion belle pant. URU rayon silk top and velour pants.